I’m a fan of CI-independent serverless nuget feeds: you can push packages from arbitrary systems to a single feed that is highly available and requires no maintenance. It can also be made public access (which Azure Artifacts/VSTS still doesn’t allow). There is one minor issue, though: the URL isn’t all that memorable or particularly short. Its format is https://[ACCOUNT].blob.core.windows.net/[CONTAINER]/index.json. It’s still better than a VSTS packaging feed: https://[ACCOUNT].pkgs.visualstudio.com/_packaging/[NAME]/nuget/v3/index.json, but wouldn’t it be nice to have something even shorter, like http://[account].nuget.cloud/index.json? After all, it’s just a trivial HTTP redirect we need. 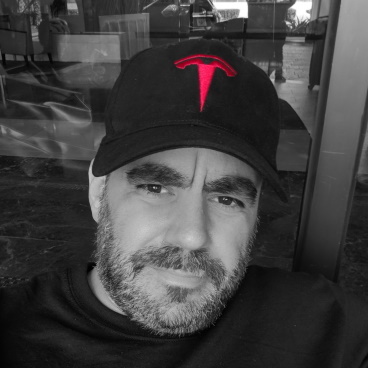 Serverless to the rescue! 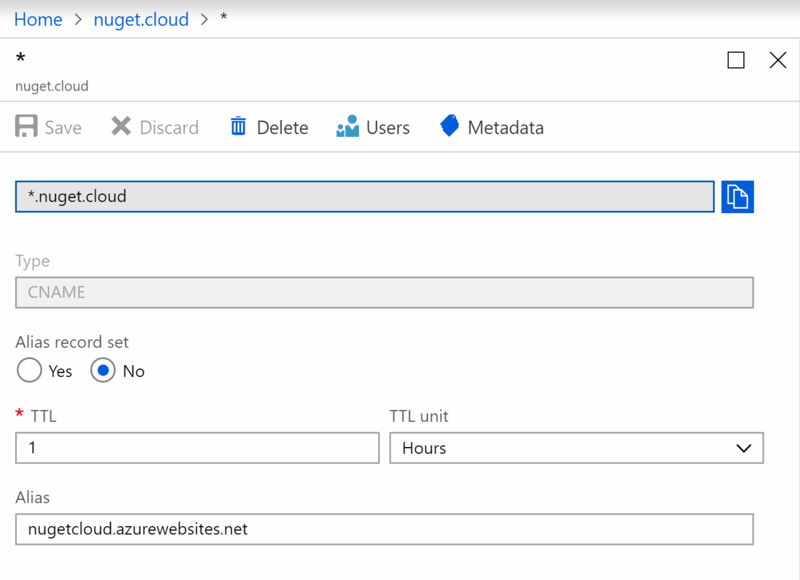 I head over namecheap.com, typed “nuget” and found nuget.cloud for ~$3. 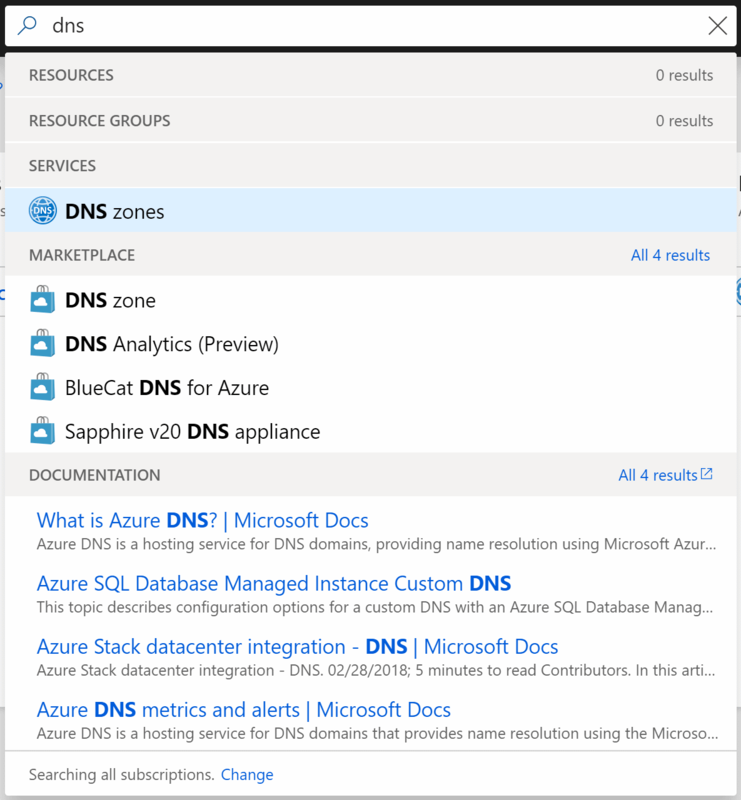 Then I went to Azure DNS and created a new DNS zone for it. Then back to namecheap to configure the DNS for the domain. I added *.nuget.cloud since I want the redirection be usable by anyone creating their custom serverless nuget feeds. 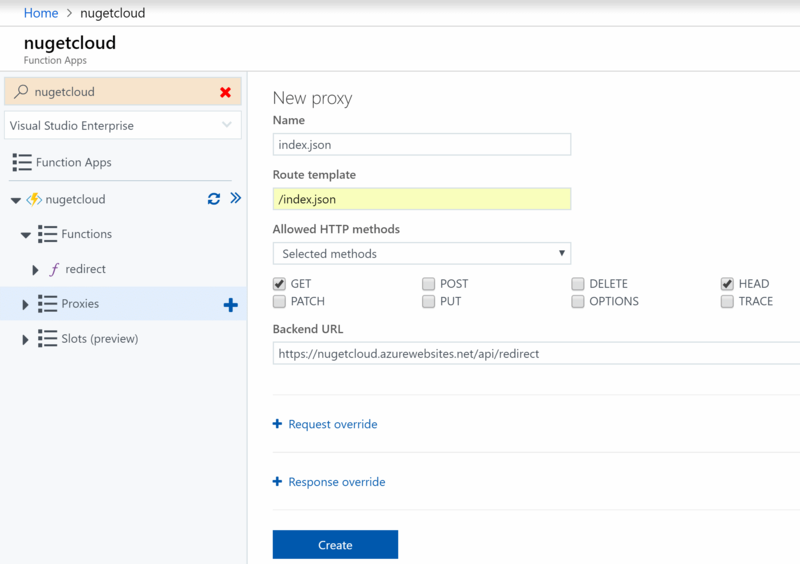 With that in place, anyone using serverless Azure nuget feeds can use a nice sort url like http://kzu.nuget.cloud/index.json. 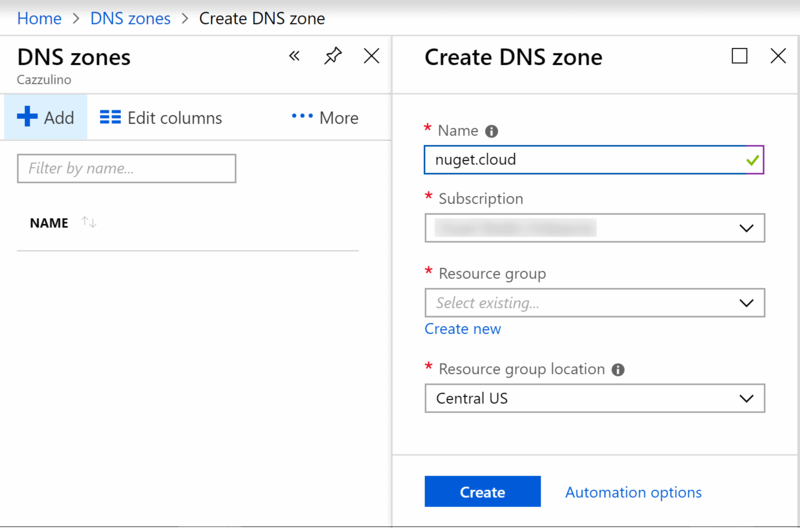 The only requisite is that your storage container name must be nuget, and the storage account becomes the subdomain of nuget.cloud. Visual Studio 2017 allows multiple side by side installations, which makes experimenting with various versions and extensions a breeze. Here's how you quickly and easily install and optionally cleanup so-called 'instances' that may have become broken for whatever reason. One of the reasons devs don't update their (Xamarin.Forms) PCL library projects to .NETStandard 2.0 is that there are a bunch of NuGet packages that still haven't migrated to it. It turns out, that that's not a problem at all! How to write cross-platform libraries without resorting to abstractions that slow down an app at run-time while still being able to unit test logic that consumes those libraries. Just like bait & switch gave us the trick to leverage platform-specific code in cross-platform libraries, test & switch gives us the trick to author them in a testable and still high performance way. Why do project dependencies become project references? Sometimes you want certain projects to be built before others in a solution, even if there shouldn't be a project reference between them. This is how you can avoid such a build dependency to become a project reference automatically. If you migrate your VSIX package references from packages.config to PackageReference, you will notice they all vanish from your output .vsix file. This is the easy way to bring them all back in a generic fashion. By default, the Visual Studio SDK will not include your extension and its referenced projects' symbols. Here's how to do it easily for all your project references in one go. Pretty much all CI systems offer nuget feed hosting. But why setup those when you can have a CI-independent, static serverless feed virtually for free and almost no effort? In this second installment of the series, I showcase the basic core concepts in MSBuild that will get you up and running quickly, with concrete examples to try out the various constructs.